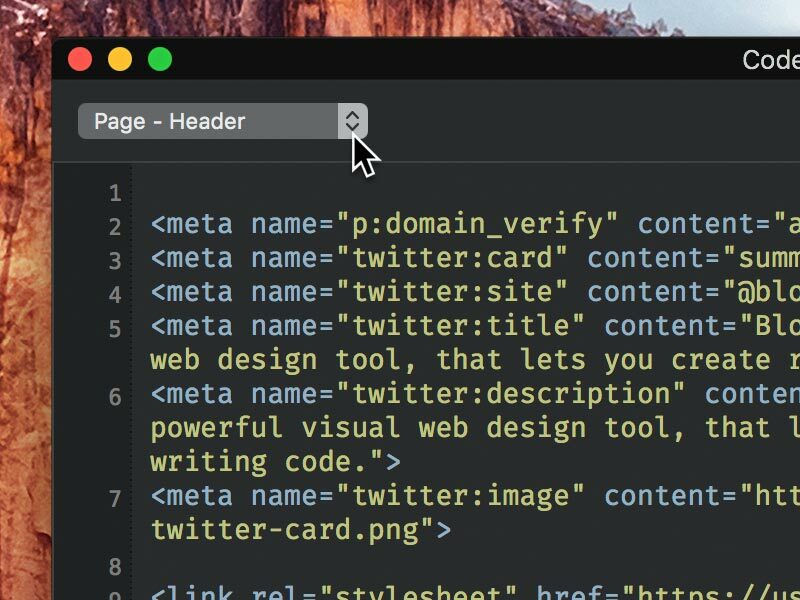 Blocs comes with a built in code editor that lets you edit and input code into various areas of a project. Please note. The code editor that comes with Blocs does not let you edit the entire contents of a page. Its purpose is to grant access to areas of a page so that custom code can be inputed and used in the final export. 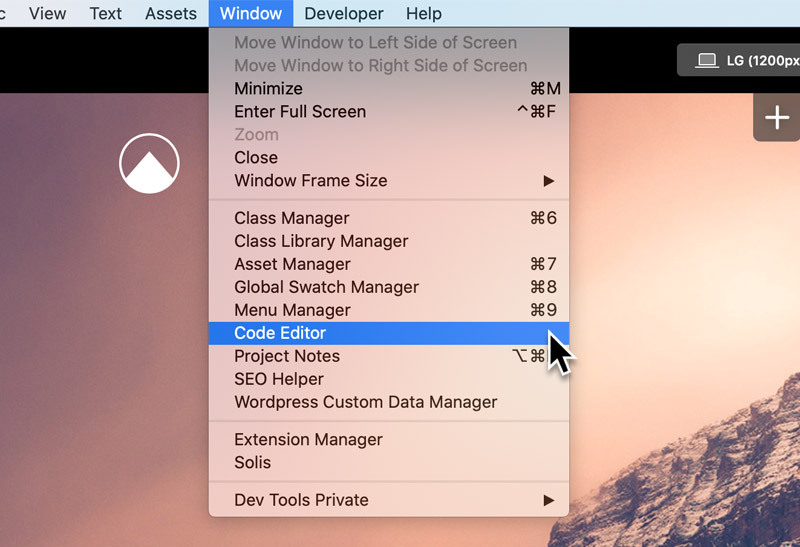 There are 2 ways to access the Code Editor within Blocs, by double clicking on a Code Widget or via the main menu Window > Code Editor. As well as the individual zones added with Code Widgets there are an additional six code input zones that you can input custom code into using the Code Editor. Three zones that are global (appear on every page) and three zones that are page specific. The target input zone can be selected using the drop down menu located in the top left corner of the Code Editor window.